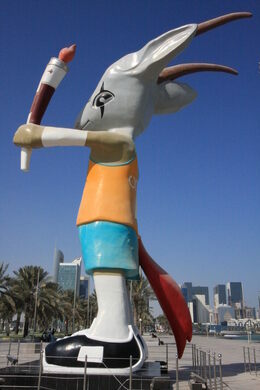 Standing approximately 30 feet tall, in the center of Doha, is a seemingly meaningless statue of a standing antelope-like animal holding a torch and dressed in gym shorts, a t-shirt, and tennis shoes. Despite its apparent randomness, it was intentionally created over a decade ago for the whole world to see. Every four years, alternating with the Olympics, are the “Asian Games”, a 45-country multi-sport competition between all Asian countries (excluding Russia). 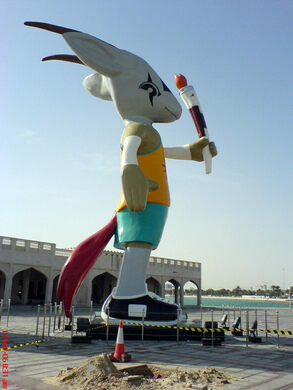 In 2006, the Asian Games moved to the Arabian Peninsula for the first time, and Doha, the chosen city, had to come up with a regionally relevant mascot. They chose the Arabian Oryx, a species of antelope that was extinct in the wild from 1972 to 1982, and since being reintroduced has remained a species vulnerable to extinction. 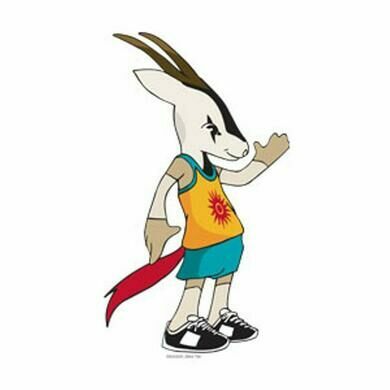 They nicknamed the mascot “Orry the Oryx”. The mascot’s image was spread widely as advertisement for the Asian Games — TV commercials, a Facebook Page, and even a giant statue. 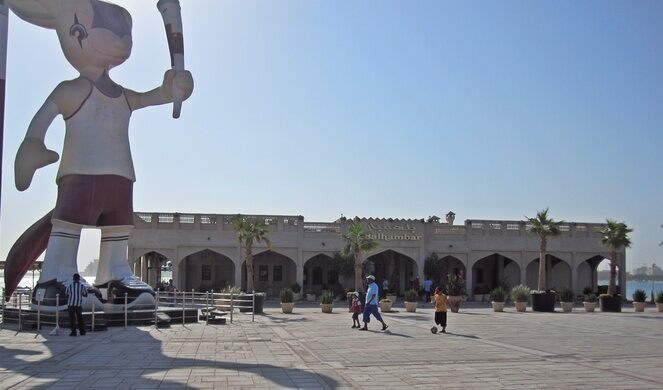 This multi-story statue was placed on the Doha Corniche, the seaside promenade in downtown Doha, Qatar’s largest city. 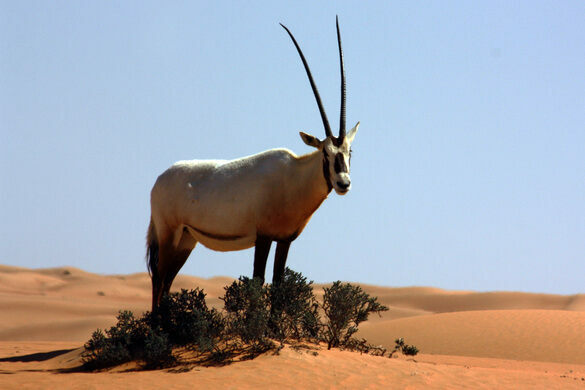 The oryx still stands today, both on the Doha Corniche and in certain parts of the wild. And it’s not alone — just a few hundred feet further down on the Corniche is the Pearl Monument, a giant clam statue to honor Doha’s pearl industry.